Please be advised that the use of this insole in combination with safety footwear must be evaluated and approved by an orthopaedic specialist. Static correction of bone areas and freedom of joint movement stimulate foot-stabilising muscles to respond to posture correction. This affects all joints up to the head. The second image only shows the inner core of the sensomotoric insole. 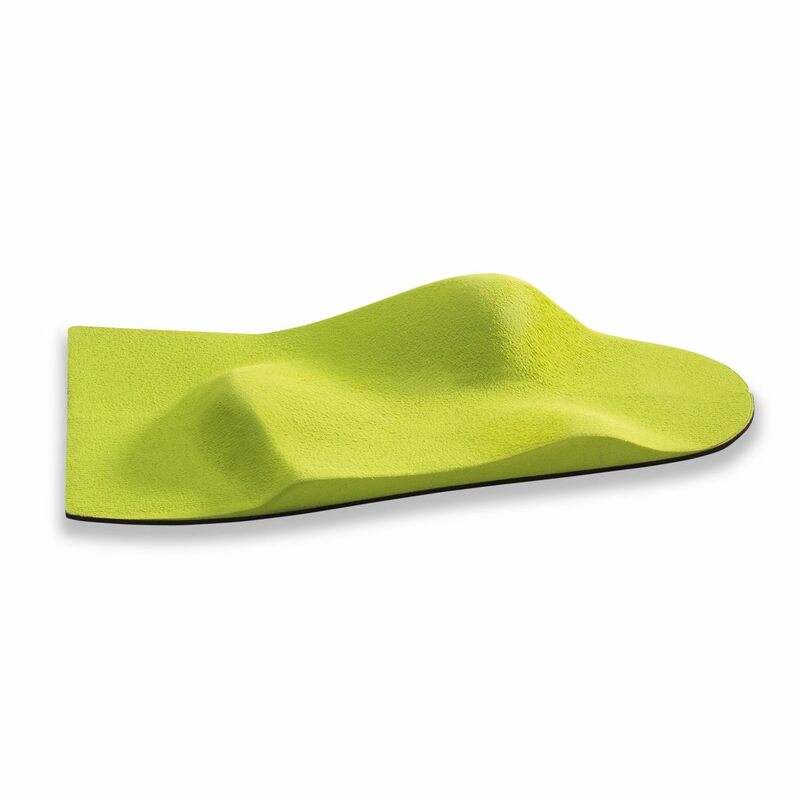 The material and finish of the complete insole is similar to the uvex EVA insert.